This job was completed in a home located in Morton Grove between the intersections of IL-Route 58 and Harms Road and Golf Road and Harms Road. Morton Grove is located in Cook County and has a population of approximately 23,000 residents.. 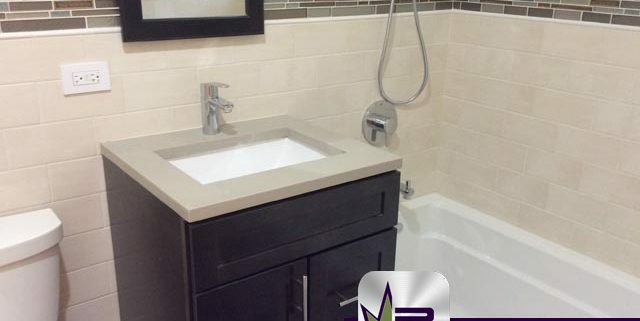 The owners of this beautiful home were ready for a change in their hallway bathroom. The preexisting space was outdated and needed a change. 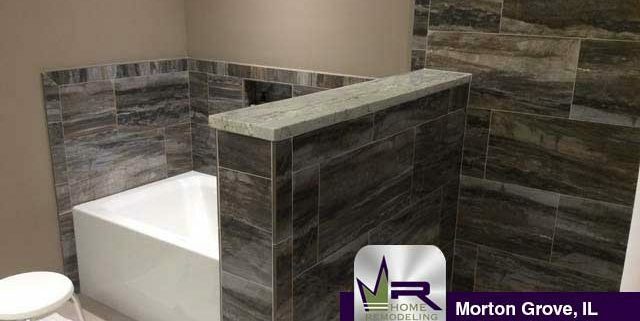 Regency began by completely gutting the bathroom and removing everything including: fixtures, flooring, walls, cabinetry, and more. 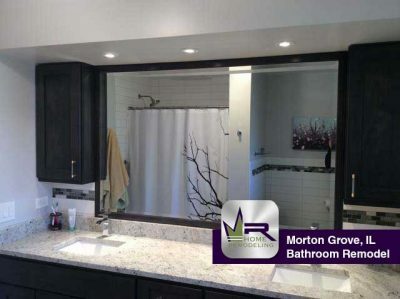 This large, master bathroom was in need of an upgrade. The old space was outdated with a retro design as well as an outdated color scheme. The homeowners were not interested in changing the layout. They were only interested in remodeling the space into a much more modern space with a completely different and updated color scheme.